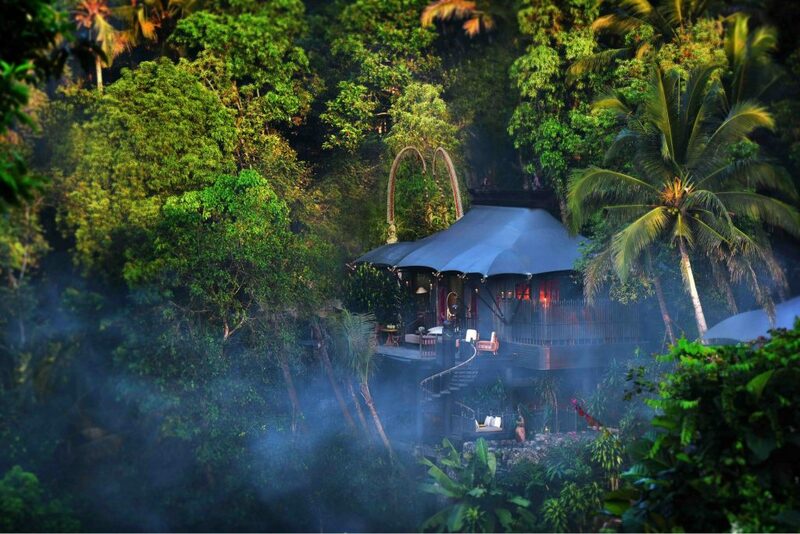 Capella Ubud, Bali is the ultra-luxurious tented camp set in the heart of a verdant rainforest by celebrated architect and designer Bill Bensley. Inspired by the first Europeans to settle in Bali in the 1800s it is set in four hectares, where the sloping rice terraces meet the dense untouched rainforest of the sacred Wos River. This one-of-a-kind hidden sanctuary offers an authentic insight into the way of life in Bali, combined with today’s modern conveniences and technology. Each of the 22 one-bedroom tented retreats, as well as the two-bedroom lodge, feature a theme-based on campsite life back in the days of the early settlers—offering guests a truly unique under-canvas experience. Nature, wellness and adventure are at the core of the camp’s many signature experiences which include curated culinary journeys through the working farms of Keliki Village as well as the resort’s own honey farms, coffee, tea and cocoa plantations. Cultural highlights include sacred temple rituals at the Wos River with villagers while wellness experiences include medicinal culinary healing, spiritual and sound healing.